MeCorp Group is a Tech Company that provides online recruiting solutions for Companies in Australia and New Zealand through our Recruitme™ and Employme™ brands. What services does MeCorp Group offer and which areas does it service? 80% of all jobs are never advertised, they are networked, we are the Job Seeker Network; we are where people find jobs that are networked. Through our Employme™ brand, we specialise in Trade Jobs, helping Companies find Tradies, and helping Tradies find jobs. Through our Recruitme™ brand we cover all job roles, providing opportunities for job seekers to connect directly with the employer. We are not a recruitment agency; we are a Job Advertising & Screening Service for employers. 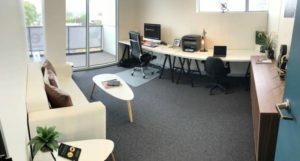 We have had a “Satellite” office in the Greenhouse for over 12 months; our Group Manager uses this as his personal office as it gives him the flexibility to work between several of our other locations, and centralise his management. The Green house has all the administration “tools” that our group manager needs to run his daily schedule. Which is the best way to contact ME Group for enquiries?